Every year there are about 10 000 people that come to Lyon to live. So the population in the centre of Lyon is growing as is the demand for accommodation. In comparison, the city centre of Paris is losing population every year. That explains why it’s getting harder to find a place to live in Lyon – there is more competition. For every vendor, there are 1.5 buyers. That means that in general, it’s relatively easy to sell, and difficult to buy. This also puts pressure on prices and on buyers to make quick decisions. Property is on the market for between a month and a month and a half on average, however some, highly sought after accommodation, such as a studio close to one of the universities is often only on the market for 24 hours. The situation is the same in other big cities in France. Only 34% of households in Lyon are owners. The rest are tenants. Although rented accommodation can be sold, the tenants have to be informed by recorded delivery several months in advance and given first refusal to purchase the property. 14% of property is social housing; 9% is empty. So there is shortage of property on the market. How much does it cost? Prices are on the way up. This is a logical consequence of supply and demand. The overall price rise in Lyon in the last 12 months (up to September 2017) is +4% and the Ten Things You Didn’t Know About the Lyon Property Market price per m² is 3500 € for an apartment and 3900 € for a house. The prices in some areas have increased by 10% however (Hotel de Ville, Bellecombe). View on Lyon 6th (Bellecombe) and Villeurbanne. An apartment or a house in Lyon? Dreaming of living in a house with a garden? 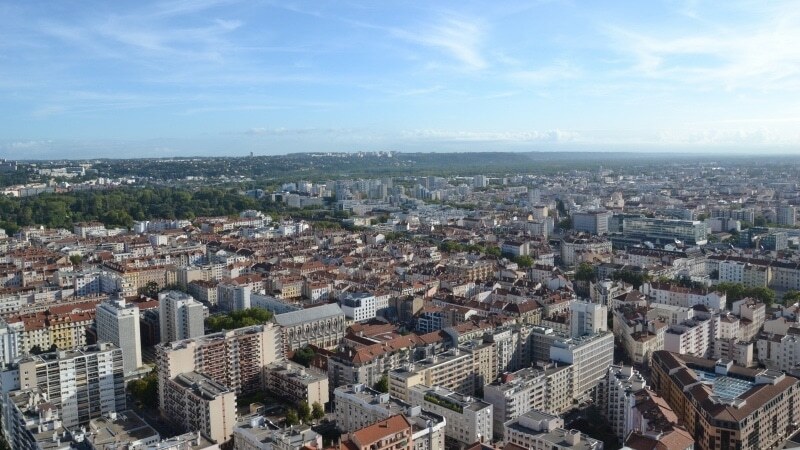 Lyon’s property market is dominated by apartments which account for 95% of real estate. There are some houses in most arrondissements, however the areas with the most houses are Montchat (3rd) and Montplaisir (8th). Fancy buying a brand new apartment? 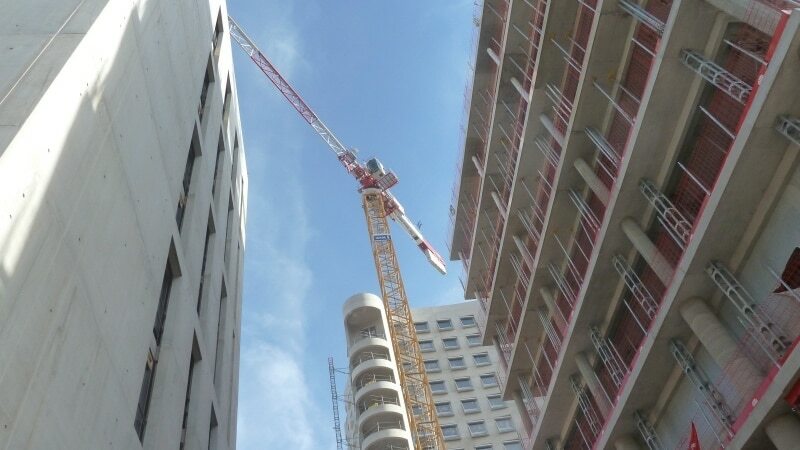 There are currently more than 50 new developments in the centre of Lyon, however, it’s very rare that you can visit before buying – these programmes are marketed about 2 years before completion and are almost always sold off-plan, long before the finishing touches are made to the project. Early birds can choose the orientation and floor of their apartment as well as the style of floor and walls. Sometimes it’s even possible to modify the layout, adding or taking away interior walls. Only a 5% deposit is required to reserve a new build, then the following payments match the different stages of construction. Agency prices are the same as the promoter prices because the agencies’ sales price already includes a commission paid by the promoter. Which agency to use to find a property in Lyon? There are more than 600 agencies in the centre of Lyon. Most do rentals, transactions and building management. They are usually specialised in a geographical area or a certain kind of property, however there is so little property on the market, most also sell property outside Lyon too and their shop windows are often not up to date. 80-90% of property searches start on the internet so you should also consider internet agencies. The governing body of the property market in France is called the FNAIM (Fédération Nationale des Agences Immobilieres); being affiliated to this organization is a good indicator of an agency’s credentials. Once you find a good agency stick with them: they can usually source property listed by other agencies so this saves time trying to contact lots of agencies. Fees range from 5 to 10% depending on the value of the property (a studio that costs 80 000 EUR will usually incur 10% fees whilst a 4 bedroom apartment worth 600 000 EUR will cost 5% fees). Where is the best place to get a mortgage? A lot of people only consult their own bank to determine their budget however a broker puts several banks in competition and so can often get better conditions, even with your own bank! There has never been a better time to borrow with interest rates as low as 1.35%! The monthly mortgage repayments can work out cheaper than your rent. French banks are sometimes wary of lending to foreign clients so you should consider using a broker specialised in the expat market – they can finance up to 85% of the purchase amount, speak English and are more reactive than banks. Concerned about losing money on currency exchange? Use a broker. They can help you save up to 4% on the amount of a transfer compared to a bank. And they can advise you on when and how to exchange currency. This is especially important since Brexit as the GBP-EUR fluctuates daily. How much goes to the notary? Legal fees on a purchase are about 8% for normal property and about 3% on new builds. The notary fees are the same for old and new property, the difference is that there is less government tax on new property. A notary represents the government and so doesn’t take sides in a transaction. It’s possible for a vendor and a buyer to each use their favourite notary for a sale, in which case the notaries share the work and the fees. Agency fees paid by a vendor incur notary fees, whereas agency fees paid by the buyer don’t. This is a snapshot of the current Lyon property market however it’s a dynamic and fast-moving industry so you should consult the specialist press or a reliable agency to keep up to date with the latest trends.